1) Flag Pillow - World Market had two varieties of these, one in cloth and one in burlap. While the burlap one was pretty, I know from experience that burlap does not make for a comfortable pillow. I could just leave out the pillow for Fourth of July, but I like it so much that I think I'll keep it year-round. 2) Outremer Rose Perfume - Oh, you know, I was just glancing at the Anthropologie sales and I saw this perfume that I had liked before, so I had to get it. It's a pure rose scent, floral with a little bite to it; the bottle is classic and pretty. Love. 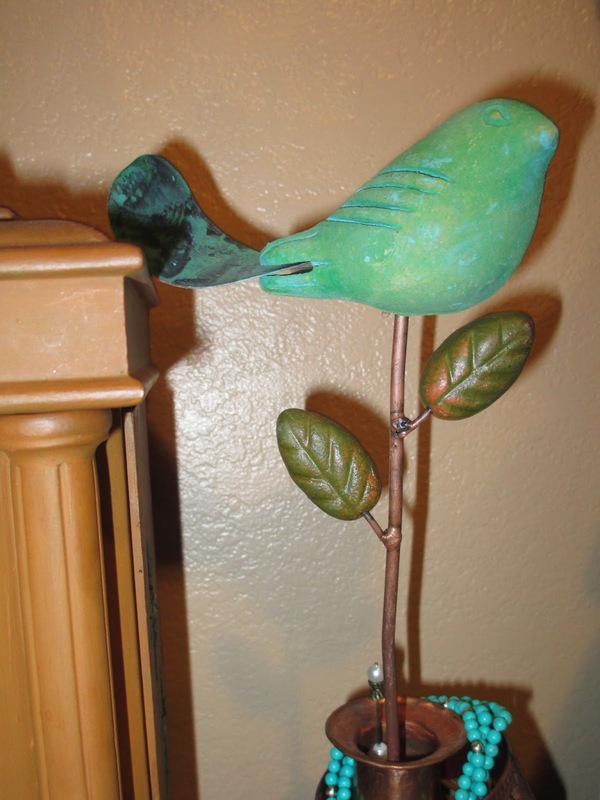 3) Green Bird - I picked this one up at the Flagstaff Botanical Garden's gift shop. I love a little shop. The bird is such a unique material, a cute handmade piece, and comes in a happy shade of green. It's more of a garden piece, but it's been sitting by my jewelry. 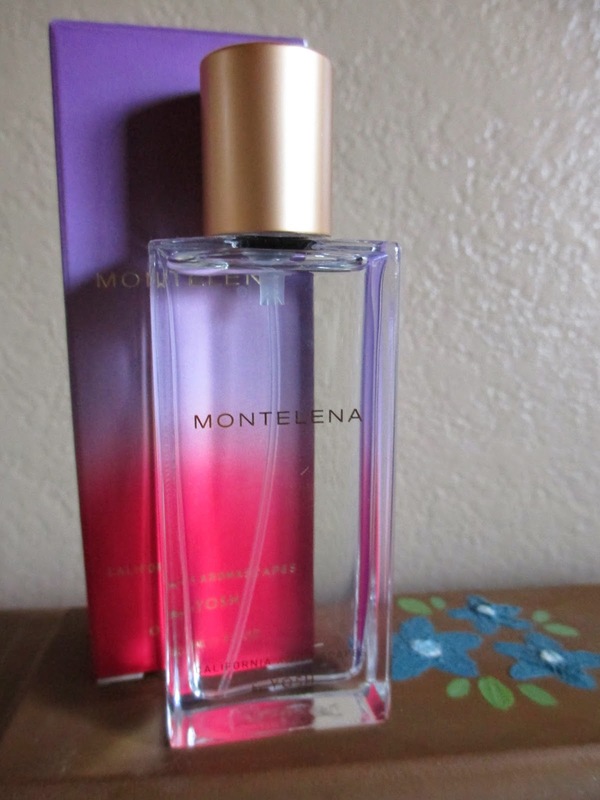 4) California Aromascapes by Yosh (Montelena) Perfume - This perfume is from the aforementioned sale. I thought, then, that I really liked its scent--but when I got home, I wasn't sure. Maybe I like it more as a room spray. It's warm like wildflowers baked in the sun, mixed with a soft powder. Like potpourri. It kind of reminds me of my aunt's house when I was younger. 5) The Hillywood Show Doctor Who T-Shirt - To go along with their new parody, The Hillywood Show has come out with a Doctor Who-themed shirt. There was also an option to have it signed. 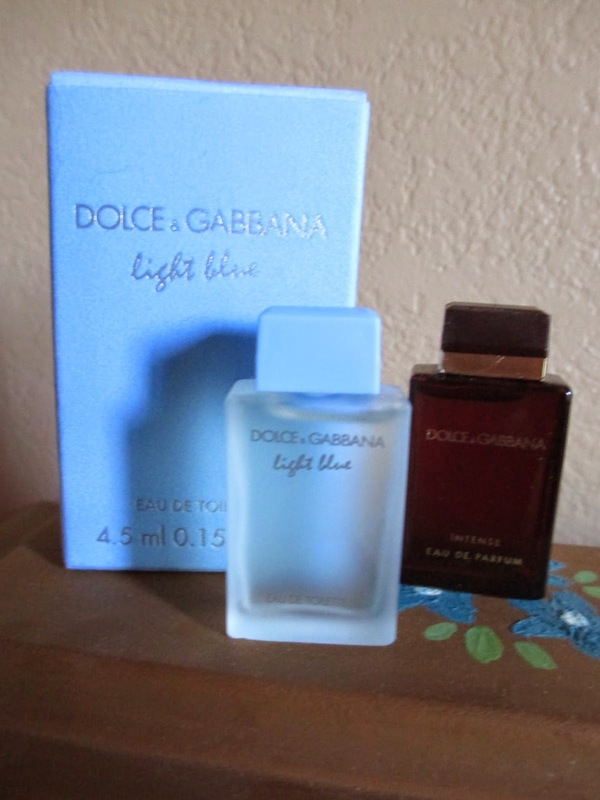 6) Dolce & Gabbana Light Blue - My latest points purchase from Sephora is another Dolce & Gabbana one, this time in a more beachy version. It's okay; I like it for the bottle, but I might also end up wearing it. 7) Vintage Purse Necklace - I had passed by this necklace more than once at the antique store, until finally it was time to buy it; I do believe it was waiting for me. It's just a random trinket that adds uniqueness to an outfit. 8) Lollia Breathe Perfume - This perfume is not from the aforementioned sale: it is from a later sale at a different Anthropologie location. I have a friend who loves Tocca perfumes, but I think I love Lollia perfumes. This one is basically rose-based, which makes me happy. There's also a more watery floral note in there that gives it more of a spa feel than the Outremer perfume. And the bottle is gorgeously girly and vintage-inspired. 9) Flower Bracelet - Also an antique store find, a low price made this bracelet come home with me. I am, after all, wearing a lot of bracelets these days. 10) Flag Necklace - I point and scoff when I pass Charming Charlie. I mean absolutely no offense to anyone who shops at the store, but it goes against the entire basic of my personal style. I like to accessorize with unique pieces that are either made out of real materials (silver, rocks) or are vintage and timeless. But when I was passing by, I saw that they had a Fourth of July display--and nothing makes me happier than seeing Red, White, and Blue on display. So I decided to walk in. It was all so exciting that I got this little necklace, which makes the perfect addition to any patriotic outfit. Bring on Independence Day.